The UN's World Food Programme (WFP) has funded several public service annoucement (PSA) ads in Lao that were showcased at the Luangprabang Film Festival in 2012. All the ads are about family, maternity and baby health. There were 10 in all. Here's a couple of them shown here. Here are 3 short, documentary style videos from HumanityTVFilms featuring 3 Lao people from very different walks of life. It's done wonderfully well. The creators of this documentary project are, in their own words, "trying to tell the story of humanity through the eyes of locals". Take a look at their videos and also consider supporting HumanityTVFilms. 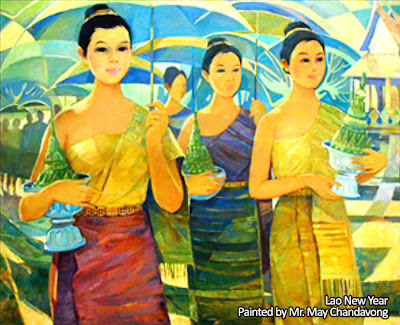 Today we're featuring the classical oil paintings of Vientiane based, Lao artist Mr. May Chandavong, 70. The below are just a few selections of his work. The funny thing about Laos is that the levels of separation are not far and almost everyone knows everyone or they may know your relatives, family or friends. So relatively speaking it can be quite easy to find or get in touch with someone through a bit of investigating. 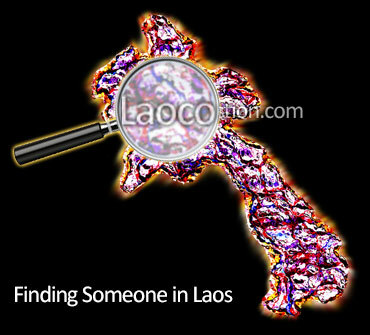 Laos is a small country and even Vientiane, I've often described as having a small town feel to it even though Vientiane is quite developed now. Found yet another wonderful website devoted to Lao writing where many are featured from signs found throughout Laos. 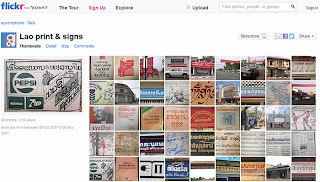 It also includes calligraphy, typography and fonts. 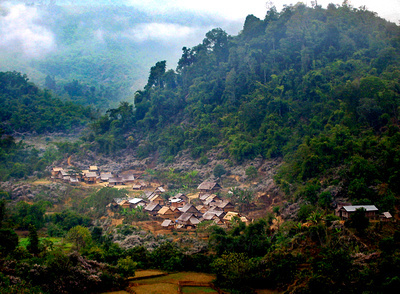 This one from Flickr user aysomphone from Vientiane. 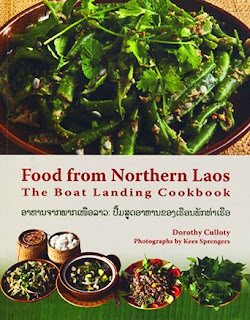 Like the other sites we found, this too has a lot of examples, photos and scanned images, of Lao text and writing. 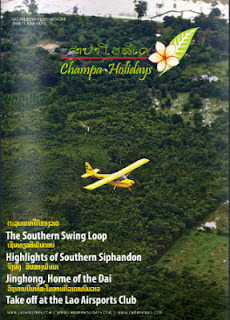 A beautiful video of Luangprabang, Laos. 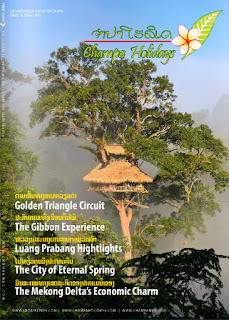 Created by Damis Films for tour company Luangprabang Exclusive.